You are invited to share in an adventure in which mankind has participated for more than two centuries. It was a hot air balloon that first carried mankind on his first flight aloft. Join us as we drift along in gentle breezes on an uncharted course where the destination is irrelevant, the trip is everything. During the flight you will not experience a sensation of climbing, or feeling of motion; only silence and a deep reverence of God's majesty and power. Our adVenture will take us over North Carolina's best kept secret, Yadkin Valley, where you will view the rolling hills filled with wildlife, see streams, lakes, ponds, trees and farms. You will experience North Carolina from a different prospective, the way it used to be. Our flight will take us to heights from which one can see distant landmarks Winston Salem, Pilot Mountain and Hanging Rock, or fly low enough to gather leaves from the trees and talk to the people on the ground. To add to your ballooning experience, you are invited to become part of our crew. A hands on participation is encouraged. 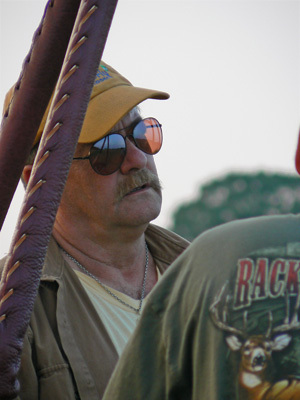 Our pilots are also FAA certified instructors; you will be guided through every step of the balloon experience. Our adVenture will take approximately two and half to three hours. Your experience starts with the exciting inflation of the eight story balloon, a system check, the flight, landing, recovery, drive back to our origination and concludes with a toast. You arrive as a customer and leave as a friend. Hey, Capt. Jack, how much is this all going to cost? Well, our rates range from $225.00 to $350.00 per person, depending on how many people are flying that day. For example, with up to four people in the basket, one of our hot air balloon flights with champagne and hors d'oeuvres only costs $225.00 per person. What if I don't have three friends? Not a problem, at least as far as hot air ballooning is concerned. Sometimes several different people may want to fly on the same day, and if you give me the option of putting a few people in the balloon with you, you can fly for $225 per person. If you and two other friends want the balloon to yourself, it would still be $225 per person. If its just you that wants to fly the price is $350.00 and I will try to find an other to fly that day. If I can't, it will be just you and I in the new baby balloon". What about a romantic balloon flight for two? We offer an exclusive balloon ride for two at $350 per person. This allows you to have the entire balloon to yourself. I have flown some wonderful engagement flights, anniversary flights, and "first date" flights that were very memorable! Call Capt. Jack at (336) 699-3332 to arrange your own "flight to remember"!